Chronic stress in childhood can hurt children and teens physically, mentally and emotionally. However, having a sensitive, responsive mother can reduce at least one of these harmful effects, reports a new Cornell study. It shows that such moms can help buffer the effects of chronic stress on teens' working memories. The study, published in Development and Psychopathology (23), sheds light on why some children are surprisingly resilient and seemingly unharmed despite growing up in difficult, high-stress situations. It was authored by Stacey N. Doan, Ph.D. '10, assistant professor of psychology at Boston University, and environmental psychologist Gary Evans, professor of design and environmental analysis and of human development in the College of Human Ecology. Earlier research by Evans showed that the chronic high stress of children living in poverty was linked to working memory deficits in young adults. Working memory -- the ability to temporarily hold information in mind -- is critical for tasks like learning and problem-solving, he said. The new study used longitudinal data on children and families in rural upstate New York when the children were about 9, 13 and 17 years old. More than half of the families were low-income. Wave 1 included 1,342 children, wave 2 involved 195 and wave 3 involved 214. Allostatic load -- a measure of stress-induced changes in neuroendocrine hormonal systems, cardiovascular responses and metabolism that indicate the severity of wear and tear that cumulative strain puts on organs and tissues -- was assessed in the 9- and 13-year-olds. Maternal responsiveness was measured when the children were 13 years of age, by rating during games such maternal behaviors as cooperation, helping and adaptability to their child's mood and abilities, and by their children's perception of how much their mothers helped with homework, were willingness to talk when needed, spent time doing enjoyable things with the child or knowing where the child was after school. Children's working memory was assessed when they were 17. The study confirmed that low-income children with higher levels of allostatic load tended to have worse working memory -- but only when maternal responsiveness was medium to low. "Although high chronic stress in childhood appears to be problematic for working memory among young adults, if during the childhood period you had a more responsive, sensitive parent, you have some protection," Evans said. Next, the researchers plan to determine whether allostatic load has direct effects on brain areas associated with working memory and to explore whether maternal responsiveness buffers some of the effects of chronic stress via better self-regulation/coping strategies in their children or by influencing levels of stress hormone, for example. Evans noted that the study underscores the potential for interventions to break the poverty-stress-working memory link, which may be one pathway by which children growing up in poverty fall behind in school. The authors also emphasize, however, that parenting is not sufficient or even the best way to overcome the adverse consequences of childhood poverty. The impacts of poverty, they said, far outweigh the protective effects of maternal responsiveness. Ultimately poverty must be dealt with by more equitable and generous sharing of resources throughout society. The research was supported by the W.T. Grant Foundations and the John D. and Catherine T. MacArthur Foundation. Posted in Features and tagged child development, parenting, poverty, resilience, stress on November 1, 2011 by ktb1@cornell.edu. When a spouse or life partner dies, the survivor experiences more illness, mental health issues and earlier death than non-widowed counterparts, research has found. Now, a new Cornell prospective study reports that the culprit is not bereavement's negative emotions -- grief, distress, fear and anger -- that disrupt the stress response system and cause harmful biological changes. The study finds that it is the steep drop in positive emotions that does the damage. Anthony Ong, assistant professor of human development in the College of Human Ecology, and colleagues report in the March issue of Health Psychology (30:2) that widowed participants showed a relative flattened daily rhythm of salivary cortisol (cortisol a marker for the stress response), compared with non-widowed controls, who showed the more normal pattern of a precipitous decline in cortisol over the course of a day. Ong, who conducted the study with Thomas Fuller-Rowell, Ph.D. '10, now at the University of Wisconsin-Madison, clinical psychologist George Bonanno of Columbia University and David Almeida of Pennsylvania State University, said that other evidence is emerging to suggest that positive emotions influence daily cortisol rhythms. There is also evidence that recently widowed individuals experience a significant decline in positive emotion. The study's findings suggest that the association between positive emotions and changes in the stress response system are linked to the negative health consequences often found among those who have lost a spouse. Using data from a subsample of a national survey that included information from telephone interviews and surveys 10 years apart, the researchers identified 22 individuals who had been widowed within three years of the follow-up interview and had not remarried. The team compared this group with a random sample of 22 continuously married individuals selected to match the widowed adults in age, gender and education. The survey data included measures of positive emotions (e.g., how much time participants felt cheerful, happy, calm and peaceful), and negative emotions (e.g., sadness and hopelessness). The survey also assessed such personality traits as extraversion (i.e., being outgoing and friendly) and neuroticism (i.e., moodiness, nervousness, anxiousness). Participants provided saliva samples, which are commonly used to measure stress levels. The researchers' analysis revealed that changes in the level of positive emotion accounted for the changes in the cortisol slope found among those who had lost their spouse. "These findings add to other recent evidence that positive emotions are beneficial during bereavement," says Ong. While there is still more work to be done to further clarify the mechanism by which reductions in positive emotion are linked to disrupting the stress response system, this research provides insights into why supporting the bereavement process is important. "Following loss of a spouse, social worlds contract," said Ong. "Failure to reconstruct these sources of enjoyment and mobilize adequate positive emotional resources in the aftermath of loss is a significant risk. Interventions designed to help bereaved individuals rebuild opportunities for positive emotional engagement are promising." This study was supported in part by the National Institute on Aging and National Institute of Mental Health. The original study was supported by the John D. and Catherine T. MacArthur Foundation. Posted in Features and tagged emotions, stress on April 20, 2011 by ktb1@cornell.edu. A person's outlook on life can minimize -- or aggravate -- a person's chronic pain, reports a new Cornell study. "While pain is a fact of life for many," says Anthony Ong, assistant professor of human development at Cornell, "how people relate to their pain can either help or hinder healthy coping." Ong and colleagues report that a person's habitual outlook on life and their ability to sustain positive emotions in the face of adversity or stress (what psychologists call psychological resilience) can make a dramatic difference in their experience of chronic pain, which afflicts millions of Americans, particularly the growing population of elderly. The study, co-authored by M. Cary Reid, M.D., associate professor of medicine at Weill Cornell Medical College, and Alex Zautra, professor of health psychology at Arizona State University, is published in the September 2010 issue of Psychology and Aging (Vol. 25, No. 3). The researchers studied 72 women and 23 men, ages 52 to 95, at Weill Cornell who were diagnosed with chronic pain -- the average duration of pain was about eight years. The patients completed daily diaries for two weeks containing information about their emotions and experience of pain each day. The researchers found a link between the patients' resilience, positive emotions and how much they then "catastrophized" about their pain. Some people with chronic pain tend have an exaggerated negative view of the actual or anticipated pain. This so-called "pain catastrophizing" makes the experience of pain worse and contributes to increased pain severity, disability and emotional distress, Ong said. It exacerbates anxiety and worry. Such negative emotions can potentially stimulate neural systems that produce increased sensitivity to pain. It can become a vicious cycle. On the other hand, the researchers found that high-resilient individuals reported less day-to-day pain catastrophizing, compared with the low-resilient individuals. The findings also suggest that the day-to-day experience of positive emotions represent an active ingredient in what it means to be "resilient," Ong said. Interestingly, the researchers also found that women with chronic pain tended to catastrophize more than men; there was also a stronger effect of positive emotion on pain catastrophizing in women. "Daily experiences of positive emotions have the potential to counteract the sense of helplessness and focus on negativity that can make chronic pain so devastating," Ong said. "Based on the gender differences we found, interventions for women in particular may benefit from greater attention to sources of positive emotion." The study was supported, in part, by the John A. Hartford Foundation and the National Institute on Aging. Higher levels of psychological resilience before the death of a spouse appears to buffer the potentially devastating negative impact of spousal loss, reports a new Cornell study. Widows and widowers with higher levels of psychological resilience before their spouses died had little change in their positive emotion several years later, compared with those with lower levels of pre-loss psychological resilience, who experienced marked declines in positive emotion following spousal loss. "Our analysis demonstrated that psychological resilience is a significant predictor of positive emotion in the face of major life challenges," said lead author Anthony Ong, assistant professor of human development, whose studied is published in Psychology and Aging (25:3). "And the maintenance of positive emotion has long-term consequences for well-being and health." Ong and colleagues Thomas Fuller-Rowell, Ph.D. '10, and clinical psychologist George Bonanno of Columbia University studied a subsample of adults in a survey that included information at two points in time, 10 years apart. During that time, 52 individuals had been widowed and had not remarried. This group was compared with 156 continuously married individuals selected to match the widowed adults in age, gender and education. The survey included measures of positive emotions (e.g., how much time they felt cheerful), psychological resilience (e.g., the ability to see the positive side of a difficult situation), spousal strain and depressive symptoms. The researchers also found that widowed participants who had had more conflict with their spouses had higher positive emotion scores than their low-strain counterparts. And vice versa, widowed adults who reported lower levels of prior spousal strain exhibited greater declines in positive emotion. "It's important to realize that the impact of spousal loss may vary widely based on personal characteristics and marital context," Ong said. "Contrary to historical beliefs, the experience of positive emotion during bereavement is not unusual, but relatively common and may be a signal of healthy adjustment." The study was supported, in part, by the National Institute on Aging and National Institute of Mental Health. The original study was supported by the John D. and Catherine T. MacArthur Foundation. Posted in Features and tagged aging, emotions, resilience, stress on February 3, 2011 by ktb1@cornell.edu. Growing up poor increases a person's chances of health problems as an adult, but a new Cornell study shows that being raised in a tight-knit community can help offset this disadvantage of poverty. Poor adolescents who live in communities with more social cohesiveness are less likely to smoke and be obese, reports the study, published in January's Psychological Science journal. Environmental psychologist Gary W. Evans, a professor of design and environmental analysis and of human development in Cornell's College of Human Ecology, recruited 326 rural upstate New York children when they were about 9 years old and their mothers. About half of the children lived in or near poverty; the rest were from middle-income families. Periodically, Evans and co-author Rachel Kutcher '08 visited the participants to measure their health and exposure to various risk factors. When the participants were about 17 years old, they and their mothers filled out surveys that assessed how connected their communities were and how much social control they felt they had. For example, mothers were asked to say how much they agreed that "one of my neighbors would do something if they saw someone trying to sell drugs to a child or youth in plain sight"; the teenagers were asked whether they had adults whom they could ask for advice. The teens also completed surveys on behavior, including smoking, and had their height and weight measured. "Youth from low-income backgrounds smoked more than those who grew up in more affluent homes," the study concludes. However, if they lived in connected communities, "the effects of early childhood poverty on adolescent smoking were minimal." Evans found similar results when assessing the teens' body-mass index, a standard measure of obesity. "You may be able to loosen those connections between early childhood poverty and negative health outcomes if you live in a community with good social resources," Evans said (see sidebar for more on childhood poverty and obesity). Evans and Kutcher believe adolescents in communities with more so-called social capital may have better role models or mentors; or perhaps in a more empowered community, where people feel comfortable stopping someone else's bad behavior, the young people feel less helpless as individuals. They might believe that "you have some control over what's going to happen to you," they suggested. Still, the authors warned, social capital can help poor youths, but it is not a remedy for the health problems associated with impoverished living in childhood. Poor adolescents, even those in communities with more social capital, are still less healthy than their middle-income peers. "It's not correct to conclude that, if you just improve social capital, then it would be okay to be poor," Evans says. The work was funded by the W.T. Grant Foundation and the John D. and Catherine T. MacArthur Foundation Network on Socioeconomics Status and Health. Poor diet and lack of exercise aren't the only risk factors for childhood obesity, report Cornell researchers. So too are low-income environments, which are fraught with more family turmoil, violence, noise, crowding and lower housing quality. The researchers found that poor children gained weight more rapidly during childhood into early adulthood than children from middle-income families. In further examining the link between childhood poverty and body mass index, they found that it was risk exposure that accounted for the increased weight gain by the youth in poverty. Researchers have long been aware of a link between poverty and obesity -- the poor suffer from higher levels of obesity and early childhood poverty is more strongly linked to adult obesity than current income. But, "Our research shows that exposure to multiple risks, which are common in low-income environments, plays a critical role in setting children on a life course trajectory for obesity," said Nancy Wells, professor of design and environmental analysis and lead author of the study published in the American Journal of Public Health (100:12). The researchers -- who also included Anna Beavis '07 and assistant professor Anthony Ong -- analyzed the relationships between obesity, childhood poverty and cumulative risk exposure in 326 children in rural upstate New York; the youngsters and their mothers were interviewed when the youths were 9, 13 and 17 years old. About half the group lived at or below the federal poverty line at initial recruitment. Poverty level, height and weight, and exposure to risk were measured. "Poorer children become overweight adults, at least in part, because they face a greater array of risk factors over the course of their childhood," says co-author Professor Gary Evans. "The next step is to look more closely at how and why multiple risk exposure leads to obesity and when we better understand this, what can we do about it." Posted in Features and tagged adolescence, poverty, stress on February 3, 2011 by ktb1@cornell.edu. Children in low-income families lag behind their higher-income counterparts on virtually all measures of achievement, and this gap tends to increase over time. There are many reasons why, but a Cornell environmental psychologist and his colleagues add a new culprit to the list: chronic stress from adverse neighborhood and family conditions. Chronic stress, in addition to parents not investing much time in cognitively stimulating their children, "can hinder children's cognitive functioning and undermine development of the skills necessary to perform well in school," says Gary Evans, professor of design and environmental analysis and of human development, who has been studying the effects of poverty on children for more than two decades. "Their homes, schools and neighborhoods are much more chaotic than those of their higher-income counterparts," he added. "They live with such stressors as pollution, noise, crowding, poor housing, inadequate school buildings, schools and neighborhoods with high turn-over, family conflict, family separation, and exposure to violence and crime. These conditions can produce toxic stress capable of damaging areas of the brain associated with attention, memory and language that form the foundation for academic success." Writing in the winter issue of the magazine Pathways, a magazine on poverty, inequality and social policy published by the Center for the Study of Poverty and Inequality at Stanford University, Evans and Columbia University's Jeanne Brooks-Gunn and Princeton's Pamela Kato Kebanov describe their Risk-Stress Model. They point to research that shows how growing up in poverty is linked with dramatically increased risk factors and how this elevated risk is linked to higher stress levels among poor children. They also describe their reanalysis of a national dataset of very young at-risk children to explore the relationship between family income and blood pressure and body mass index. Both are measures of stress, reflecting wear and tear on the body and are precursors of lifelong health problems. The researchers found that babies growing up in low-income neighborhoods had health trajectories indicative of elevated chronic stress. Disturbingly, these patterns emerged very early in the lives of these children. The authors also examined the link between chronic stress and achievement. There is some evidence that several areas of the brain -- language, long-term memory, working memory and executive control -- are sensitive to childhood poverty. New data are beginning to shed light on the question of whether these differences are attributable to cumulative risk and stress, Evans said. In a recent follow-up in a longitudinal study of children in poverty, Evans and colleagues found that working memory at age 17 deteriorated in direct relation to the number of years the children lived in poverty. Importantly, this effect only occurred among the low-income children with chronically elevated physiological stress. Early childhood poverty did not lead to working memory deficits among children who had somehow escaped the stress that usually accompanies poverty. Childhood poverty leads to lower academic and occupational achievement, in part, because the multiple risks typically faced by children growing up in poverty lead to chronic stress, which in turn, negatively affects children's cognitive abilities to succeed in school. "We don't dispute the important roles of cognitive stimulation and parenting styles in socio-economic status differences in children's cognitive development," Evans says. "However if this new pathway is confirmed, it suggests new ways of understanding and ultimately intervening to break the income-achievement gap." Posted in Features and tagged education, poverty, stress on February 2, 2011 by ktb1@cornell.edu. You’ve had a hard day at work or at home or both and you’re feeling “stressed out.” Now you have even more reason to worry! It turns out that repeated exposure to stress causes changes in the brain that can set the stage for a multitude of mental and physical health problems, from depression to heart disease. Now a recent paper in Psychological Review, explains why. Drawing on research across multiple fields, Barbara Ganzel, neuroscientist in the Department of Human Development, and her colleagues Pamela Morris from New York University and Elaine Wethington in the Department of Human Development developed a new model of the stress process and how it affects the brain and body over time. “We needed a framework that would integrate the emerging insights from neuroscience with research in other fields so we could really understand the interplay between stress exposure, regulation of body processes and health outcomes,” said Ganzel. Your body’s stress response kicks in when you perceive a threat. Your heart beats faster and your blood pressure increases along with other changes which prepare your brain and body for action. This is a remarkable survival system for responding to danger. But most daily stressors are not life-threatening. They are more individualized. We perceive and respond to a situation in the context of our current environment and health, influenced by our past environment and health, upon the foundation of our genetics. A set of brain regions which includes the amygdala and basal ganglia is the hub of our response to threats and rewards. Processing of such emotional stimuli is regulated by neurotransmitters and neurohormones within these regions. These core emotional regions of the brain work in conjunction with other brain areas to interpret the situation and generate a behavioral response. Together, the core emotional regions of the brain function as the first responders to threat. This central response then drives all of the other stress-related changes in the body. In response to a stressor, neurochemical signals generated by the core emotional regions of the brain activate the hypothalamus in the brain, pituitary gland at the bottom of the brain, and the adrenal glands. The adrenal glands then produce cortisol and adrenaline which have global preparatory and modulating effects on the rest of the body’s systems such as the immune system, cardiovascular system and digestion. An individual’s response to stress is influenced by their environment. There are potential risks that may confound and resources that may help the individual undergoing the stressor. For instance, research has shown that social support can buffer the impact of negative events on mental and physical health. Intriguingly, results from fMRI studies indicate that the availability of social support can prevent or reduce the brain’s initial emotional reactivity to stress, though more research needs to be done to fully understand this relationship. Over time the process of responding to stress causes wear and tear on the brain and body. While minor stressors may function as healthy challenges that leave little or no negative effects, larger stressors make greater demands. Under chronic or repeated stress, the long term physiological costs of the sustained accommodation to stress continue to accumulate. In the authors’ model, mental health is affected by the stress response process in the brain and physical health is affected by the stress response process in the body. And, of course, each affects the other. Accumulated wear and tear and the associated mental and physical health outcomes feed into the individual’s environmental risks. Importantly, accumulated wear and tear also directly affects the individual’s mental and physical capacity to respond to a current stressor. An example is blood pressure, which increases in response to perceived danger. Repeated exposure can result an upward regulation of the blood pressure set point to more permanently accommodate the stressful environment. Chronic high blood pressure, in turn, can lead to a host of other health problems which feed back into the dynamics of an individual’s neural response to stress. Genetics and gene-environment interactions, importantly, enter into the model. Individual differences in genetics affect the biology of the current stress response as well as the accumulation of wear and tear. Individual differences modify an individual’s first and subsequent responses to stressors in the environment. One example is the natural genetic variation in a serotonin transporter gene. Carriers of one version are more sensitive to negative stimuli. Under stressful conditions such individuals have an increased risk for depression. Research has identified multiple indicators of accumulated stress load on the body. Chronic high blood pressure is but one example. Emerging evidence from neuroimaging studies confirms that there are long-term effects of stress on the healthy human brain as well. Since the emotional systems of the brain are the focal point for response to stress, indicators of wear and tear would be expected to show up as structural, functional or neurochemical shifts in these brain systems. These, in turn, translate into alterations in behavior such as increased startle response or anxiety. Ganzel found just such effects in her earlier research on 9/11 survivors in which adults closer to the disaster had smaller more stress-reactive amygdalae. This model provides a framework for better understanding those links and designing new approaches to medical and social problems – from heart disease to child abuse. Ganzel, B.L., Morris, P.A. and Wethington, E. (2010). Allostasis and the human brain: Integrating models of stress from the social and life sciences. Psychological Review, 117(1), 134-174. Posted in Features and tagged neuroscience, stress on November 18, 2010 by ktb1@cornell.edu. Would rewards or penalties work better for encouraging people to buy healthy food? Will involving a person's family or faith-based social network improve an obesity intervention? How can state-of-the-art technologies be leveraged to measure people's exposure to stressors reliably and effectively, to help researchers study the links between stress exposure and health outcomes? These are but a few of the questions that Elaine Wethington is tackling with her colleagues. She is playing a central role in three new prestigious grants which bring together accomplished interdisciplinary teams of scientists from economics, psychology, sociology, nutrition, marketing, epidemiology, and statistics. Wethington is a medical sociologist who is an Associate Professor in the Departments of Human Development and of Sociology. She is an expert in the study of stress and health and in translational research methods. Her major research interests are in the areas of stress and the protective mechanisms of social networks. She is co-director of the new Translational Research Institute on Pain in Later Life (funded by the National Institute on Aging and directed by Dr. Cary Reid of the Weill Division of Geriatrics), as well as the director of its Pilot Studies program. A five-year, $6 million dollar grant will fund the Cornell Center for Behavioral Intervention Development to Prevent Obesity, a collaboration between Cornell University in Ithaca and the Weill Cornell Medical College. The goal of the new Center will be to translate basic behavioral and social science discoveries into effective behavioral interventions that reduce obesity and obesity related diseases in Black and Latino communities. The team will focus on behavior changes, not dieting - testing personalized strategies aimed at reducing weight and increasing physical activity in a way people can maintain over time. In this project, Wethington will contribute her expertise to developing and designing the interventions, analyzing the results of participant interviews, and examining the impact of stressor exposure on the success of interventions. Dr. Mary Charlson, professor of integrative medicine at Weill leads the project. Other team members include Carol Devine, Division of Nutritional Sciences; Brian Wansink, Department of Applied Economics and Management; Martin Wells, Statistical Sciences; and Drs. Carla Boutin Foster, Erica Phillips-Cesar, Walid Michelen, and Bala Kanna from Weill Cornell. Harlem and South Bronx community health clinics affiliated with the Weill health system are participating as full partners in the development studies. Another new study will team up researchers from the College of Human Ecology and the College of Agriculture and Life Sciences to explore strategies for influencing eating behavior. The work is supported by a nearly $1 million grant from the National Institutes of Health, funded by the American Recovery and Reinvestment Act. The research team will study how how shoppers respond to having easy to understand nutritional information available and to food pricing. Answers to these questions will shed light on the potential effectiveness of pricing policies designed to curb America’s appetite for “junk food.” Brian Wansink, Professor of Applied Economics and Management, leads the project. Wethington will focus on analyzing findings, as well as on developing the sampling, recruitment, and retention efforts for the study. Other team members include John Cawley, Policy Analysis and Management; Jeffery Sobal from the Division of Nutritional Sciences; and David Just, William Schulze and Harry Kaiser from the Department of Applied Economics and Management. In an existing 4-year grant from the National Institute for Drug Abuse, Wethington is collaborating with researchers from the University of Pittsburgh and Carnegie-Mellon University to develop valid, reliable, yet cost-effective instruments to measure chronic stress exposure in field studies. The instruments include hand-held devices for assessing chronic stress exposure and a web-based retrospective interview to assess stress exposure over a one-year period. These instruments are being developed to support research on how stress affects health outcomes and how such effects are influenced by genetic factors. In this study, Wethington's contribution is focused on developing the web-based retrospective interview. The team is led by Prof. Thomas Kamarck of the University of Pittsburgh Psychology department; team members include Drs. Barbara Anderson and Saul Shiffman at the University of Pittsburgh, and Drs. Daniel Sieworek and Asim Smailagic at Carnegie-Mellon. These and other recent grants demonstrate the interest funders have in research that spans disciplines and translates basic behavioral and social science discoveries into effective behavioral interventions. "The National Institute of Health recognizes that the 'team approach', involving established experts from multiple disciplines, has proven effective for tackling tough problems in health care and delivery, such as health disparities" states Wethington. "For some issues, such as reliable measurement of stressor exposure, social and psychological scientists are being encouraged to collaborate with computer scientists and engineers are developing health promotion and tracking devices. Social scientists who measure and study population health are being encouraged to collaborate with community health workers, health clinics, and frontline service agencies." Effective collaboration strategies are the keys to success.Wethington adds: "No one discipline has the answer to every question. This is an exciting and rewarding time to be a health researcher. You feel like you may be making a long-lasting contribution to the well-being of the population, while also benefiting from learning new things yourself." Wethington, E., Breckman, R., Meador, R., Lachs, M. S., Carrington Reid, M., Sabir, M. & Pillemer, K. (2007). The CITRA Pilot Studies Program: Mentoring Translational Research. The Gerontologist, 47, 845-50. Wethington, E. & Pillemer, K. (2007). Translating Basic Research into Community Practice: The Cornell Institute for Translational Research on Aging (CITRA). Forum on Public Policy Online, Winter 2007. Posted in Features and tagged aging, obesity, stress, translational research on June 30, 2010 by ktb1@cornell.edu. Posted in Articles on the Web and tagged aging, stress, translational research on February 23, 2010 by ktb1@cornell.edu. Gary Evans, developmental and environmental psychologist at Cornell University, is PI on a Grand Opportunity award from the National Institutes of Health called "Childhood Poverty and Brain Development: The Role of Chronic Stress and Parenting." 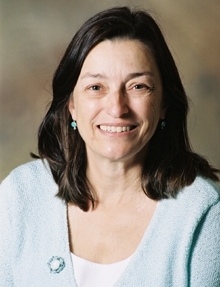 Evans is the Elizabeth Lee Vincent Professor of Human Ecology in the Departments of Design and Environmental Analysis and of Human Development. One fifth of America's children grow up in poverty. While there is good evidence that this is harmful to health, achievement, and socio-emotional adjustment, very little is known about the brain basis that mediates the detrimental effects of poverty. The two-year research plan will utilize a well-characterized longitudinal sample of low- and middle-income individuals in combination with a comprehensive set of conceptually derived, innovative and validated neuroimaging tests to address two critical questions: How childhood poverty influences adult brain structure and function; and what underlying mechanisms might account for childhood poverty - brain relationships. The invesitgators hypothesize that chronic physiological stress dysregulation as well as harsh, unresponsive parenting during childhood will account for some of the expected linkages between childhood poverty - adult brain structure and function - particularly in the hippocampus, amygdala, and the anterior cingulate/medial prefrontal cortex. The project will utilize a 14 year, ongoing longitudinal research program of low and middle-income individuals focused on childhood poverty, physiological stress, and socio-emotional development conducted by Evans. Half of this sample (now age 22) grew up below the poverty line and half are middle income. The sample is well characterized over their life course in terms of socioeconomic status and other demographic variables, as well as both physical and psychosocial risk exposures. Primary outcome variables for this longitudinal cohort include multiple methodological indicators of physiological stress (neuroendocrine, cardiovascular, and metabolic) along with parental, self, and teacher ratings of socioemotional development (internalization, externalization, self regulation. In depth data on parenting are also included. The neuroimaging work will be conducted in the Department of Psychiatry, University of Michigan by Israel Liberzon, with expertise in the neuroimaging of stress in health and mental illness, and by James Swain a child psychiatrist studying the brain basis of parenting. Posted in Articles on the Web and tagged neuroscience, parenting, poverty, stress on November 17, 2009 by ktb1@cornell.edu. Chronic stress from growing up in poverty can physiologically impact children's brains, impairing their working memory and diminishing their ability to develop language, reading and problem-solving skills, reports a new Cornell study. The study, published online March 30 in the Proceedings of the National Academy of Sciences, is one of the first to look at cognitive responses to physiological stress in children who live in poverty. "There is a lot of evidence that low-income families are under tremendous amounts of stress, and we know already that stress has many implications," said lead author Gary W. Evans, the Elizabeth Lee Vincent Professor of Human Ecology in the Departments of Design and Environmental Analysis and of Human Development in Cornell's College of Human Ecology. "What these data raise is the possibility that stress is also related to cognitive development." Evans and Michele A. Schamber '08, who worked with Evans as an undergraduate, have been gathering detailed data about 195 children from rural households above and below the poverty line for 14 years. They quantified the level of physiological stress each child experienced at ages 9 and 13 using a "stress score" called allostatic load, which combines measures of the stress hormones cortisol, epinephrine and norepinephrine, as well as blood pressure and body mass index. At age 17, the subjects also underwent tests to measure their working memory, which is the ability to remember information in the short term. Working memory is crucial for everyday activities as well as for forming long-term memories. Evans found that children who lived in impoverished environments for longer periods of time showed higher stress scores and suffered greater impairments in working memory as young adults. Those who spent their entire childhood in poverty scored about 20 percent lower on working memory than those who were never poor. "When you are poor, when it rains it pours," Evans explained. "You may have housing problems. You may have more conflict in the family. There's a lot more pressure in paying the bills. You'll probably end up moving more often. We know that produces stress in families, including on the children. "We put these things together and can say one reason we get this link between poverty and deficits in working memory may be from this chronic elevated stress," he said. The findings suggest that government policies and programs that aim to reduce the income-performance gap should consider the stress children experience at home. "It's not enough to just take our kids to the library," Evans said. "We need to also take into account that chronic stress takes a toll on their cognitive functioning." Posted in Articles on the Web and tagged child development, poverty, stress on April 10, 2009 by ktb1@cornell.edu.